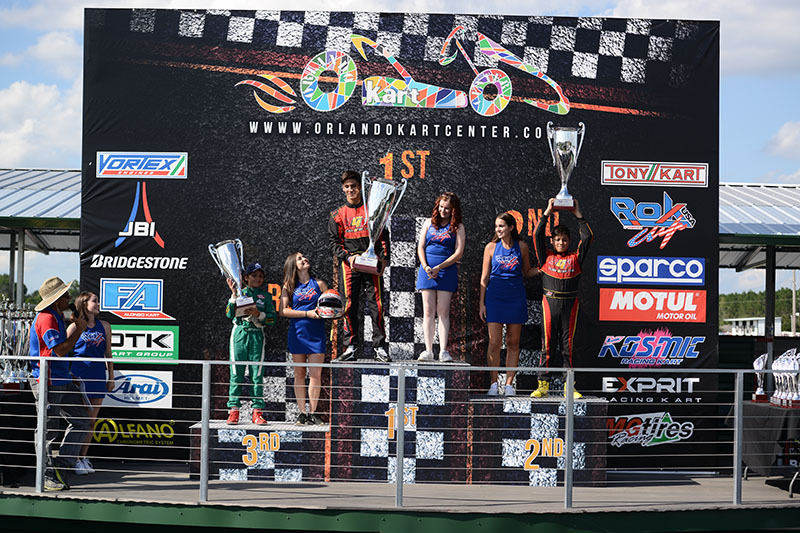 Heading in to the finale round at the Orlando Kart Center in Orlando, Florida with the championship lead, Gangi Jr. would be the driver to beat for the ROK Junior title. 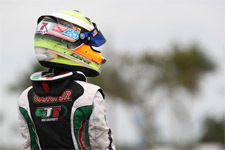 With wins from the first three rounds and a second place podium result from round four, Gangi Jr. started his weekend effort off placing third in the qualifying session on Saturday. 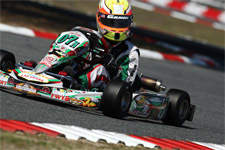 The first two heat races saw the multi-time karting champ near the top of the timing sheets, crossing second in both. 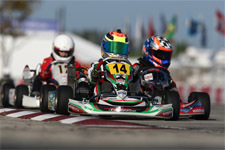 Gangi Jr. then dropped to sixth in the third and final heat, which placed him third on the grid for the prefinal once heat points were tabulated. 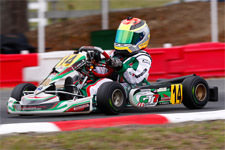 Plagued with mechanical problems, the Brookville, New York resident would place fourth in Sunday’s prefinal before crossing the stripe in the 11th place for the 16-lap main event. 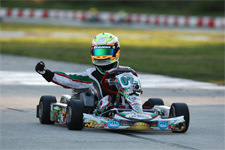 Despite all this, Gangi Jr. was crowned the 2015 ROK Cup USA Junior champion thanks to his strong performances in the first four rounds. 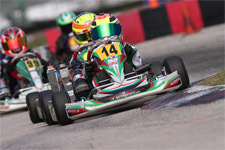 Gangi Jr. will now head to the South Garda kart track in Lonato, Italy for the ROK Cup International Final October 14-17, 2015, and will represent Team USA in the prestigious event which draws drivers from all over the world.